The keys to fixing these top mistakes will change your life. Have you ever wondered "what are the biggest mistakes people make in negotiations?" People ask us that question often and in our experience there are 3 major mistakes most people, even experienced negotiators, make in their negotiations. 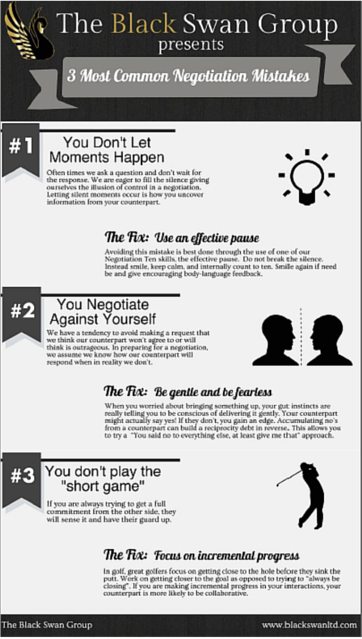 how you can avoid making these negotiation mistakes and increase your chance of success!